The Bulls fell to 32-36 and into 10th place in the Eastern Conference. Snap, crackle, pop is good for breakfast cereal. It’s not so good for elbows. Very bad for the Bulls Wednesday since it was Dwyane Wade’s elbow with the pop, Wade wearing a sling on his right arm meeting reporters after the Bulls 98-91 loss to the Memphis Grizzlies. And like that could disappear a last gasp playoff run. The Bulls fell to 32-36 and into 10th place in the Eastern Conference. Though they are just a game behind Detroit and Miami for the final spot, the loss of Wade could be fatal given his offensive threat and thus the cover against double teams for Jimmy Butler. Butler Wednesday had 14 points on four of 16 shooting and is shooting 38 percent since the All-Star break. 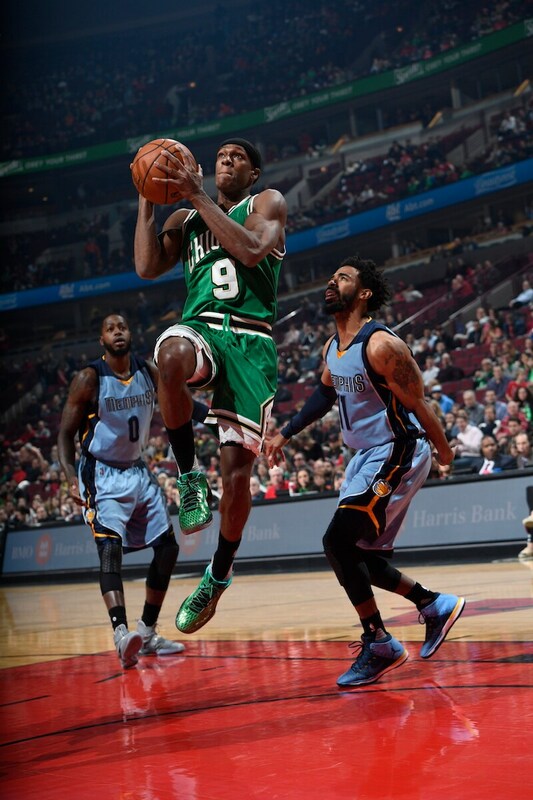 The Bulls were led by the resurgent Rajon Rondo with 17 points, making three of four on three pointers. Rondo is shooting 58 percent on threes in March, 11 of 19 and averaging 18.5 points, seven assists and 6.5 rebounds in the two games back starting. 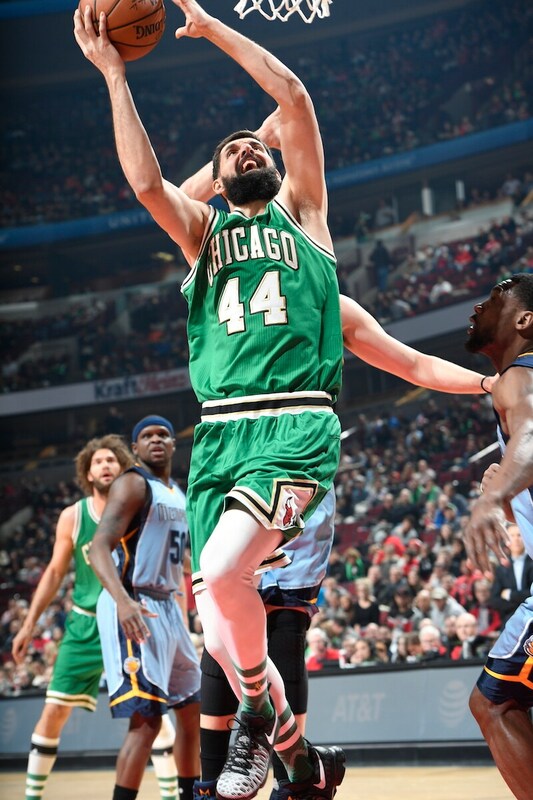 Nikola Mirotic back as sixth man had 14 points and Denzel Valentine had 11 points. 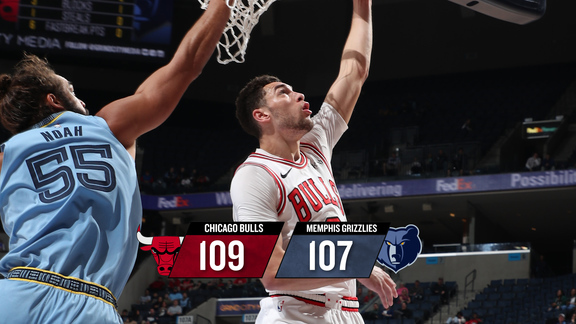 But the rugged Grizzlies led by Marc Gasol and Mike Conley, each with 27 points, outrebounded the Bulls 52-45 and had 14 offensive rebounds and 17 second chance points to blunt repeated Bulls rallies. The Bulls were hoping their Three Alphas could play together and give then a late season boost, but prospects now are uncertain regarding Wade. Butler had a similar hyperextended elbow injury two years ago, and Wade talked in the locker room with Butler about it. Wade didn’t seem encouraged. Butler missed three weeks at the time and 11 games. The Bulls have 14 games left in the regular season and are in Washington Friday. It happened in the fourth quarter with the Bulls having fought back from that big third quarter deficit to trail 74-71 after three. “We didn’t come out the second half with a sense of urgency, like we are the team out of the playoffs.We have to do a better job of that, making emphasis starting quarters, finishing quarters; that’s what I always try to preach. The last three minutes of the quarters are very important, but also the first three minutes. We do a better job in those two areas." It still was three, 76-73 Grizzlies, when Brandan Wright took a short hook shot with 9:46 left in the game. Wade got his arm tangled with that of Randoph’s going for the rebound along with Cristiano Felicio and immediately grabbed his right elbow. Wade stayed in the game, his right arm hanging down and it wasn’t immediately clear if anything was wrong. He’d slammed his hand earlier in the game on Gasol. The Grizzlies got three offensive rebounds on that possession and then Conley shooting two free throws. Wade stayed in as Valentine made a three on a Wade assist. The Bulls were trailing 78-76 with 8:51 left. Wright committed an offensive foul and Wade went out for Butler and didn’t return. “My concern level is only 14 games left. I never had this injury, so I can’t say two days, two weeks; I don’t know. I know Jimmy had something similar to this and talking to him I don’t like what he had to say about this. That’s my concern. We are trying to make the playoffs and I don’t know how long this is going to take to get better. It’s my shooting arm, too." The Bulls still would have a shot. They would tie the game after Wade left, at 80 with 6:06 left on a Mirotic three, and then at 83 with 4:46 left on another Mirotic three. Coach Fred Hoiberg said after the game the coaches have talked about returning Mirotic to the starting lineup. Which could come next game if Wade is out given the Bulls would need a scoring boost. From there, however, it was all Memphis and pretty much Gasol and Conley. Pau’s brother was too much for Mirotic. It was a tough defensive matchup for the Bulls, who needed Mirotic’s scoring and shooting. Cristiano Felicio played physical Zach Randolph inside as Randolph was dominating the offensive boards. So Mirotic had to try Gasol outside. Gasol drove for a dunk and three-point play with 4:20 left for an 86-83 Memphis lead. Conley lost Butler on a screen and made a three for an 89-83 Memphis lead with 3:41 left. Valentine answered with a three, but Gasol responded with a fadeaway for a 91-86 lead with 3:08 left. The Bulls had one more shot when Rondo, the team’s best three-point shooter the last month, made another three with 2:09 left after Rondo rebounded a Mirotic miss and got the ball back from Mirotic for the score. That cut Memphis’ lead to 91-89. Tony Allen then got open for a layup with the Bulls losing track with all the switching they were doing. Rondo then missed his first three in and out. Conley drove and passed back to Gasol for a three with 1:12 left. That gave Memphis a 96-89 lead and not much more the Bulls could do but hope for good medical news for Wade. “Hopefully it’s not what I had. I know his pain, I can tell you that. They got to all the loose balls. We didn’t rebound when we needed to, missed shots; just not playing the kind of basketball we wanted to play. We’ve been up and down all year and it seems to still be that way right now." No, they’re not gr-r-reat. They still hope to be.